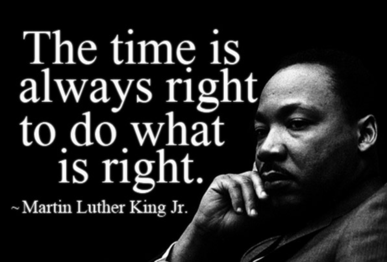 For a listing of Martin Luther King Jr. Day events, click here. There will be no residential garbage, yard waste or recycling collection on Monday, January 21 in the Urban Services District (former Louisville city limits) in observance of Martin Luther King Jr. Day. Residents who normally have garbage/yard waste/recycling collection on Monday will have service instead on Tuesday, January 22, and collections for the rest of the week will be delayed by one day. Residents in areas normally serviced by private waste haulers should check with those companies for holiday collection schedules. Louisville Metro offices, including the District 10 office, will be closed on Monday, January 21. Waste Reduction Center, 636 Meriwether Avenue, with the exception of Electronics Drop-off Service, which will be available from 8 a.m. to 3 p.m.
Louisville Metro Solid Waste Management will be suspending the collection of yard waste in the Urban Services District (USD) beginning January 19 and through March 9. While individuals may request collection as needed during this time through MetroCall at 574-5000, please plan to set out your yard waste – including Christmas trees – BEFORE January 19. There will be an appeal process for those unhappy with the changes to the flood maps. That will begin in several weeks and last 90 days, allowing anyone to submit their opinions of possible changes to the maps. Pay attention to your car and belongings - other people are. We're hearing reports of people walking the streets, checking car door handles every night. Some of those cars are unlocked, and items are stolen, in a crime that could be avoided. Louisville Metro Police Department officers are getting many calls about cars stolen after they are left outside running, unlocked with the keys in them. Leaving a car running unattended may also earn the owner a citation. From Senior Nutrition: Volunteers are needed to deliver a hot lunchtime meal to seniors within our area, between 10 a.m. and noon. A weekly commitment of approximately two hours is desired. We will train and supply equipment for your use, but you must provide your own transportation. The Buechel Terrace Frederick Acres Neighborhood Association will meet Tuesday, January 22 at the Buechel Fire Department at 7 p.m. Come early for the Chili Cook-Off at 6 p.m. The Metro Planning Commission will hear comments on short-term rentals at the meeting January 24. The Planning Commission meets in the Old Jail Building, 514 W. Liberty Street, beginning at 1 p.m., and will continue until the commission has heard all cases. However, the comments on short term rentals will not begin until after 3 p.m.
Mayor Greg Fischer is pleased and proud of Wednesday's decision by the Louisville Regional Airport Authority Board to rename the city’s airport for its native son Muhammad Ali. 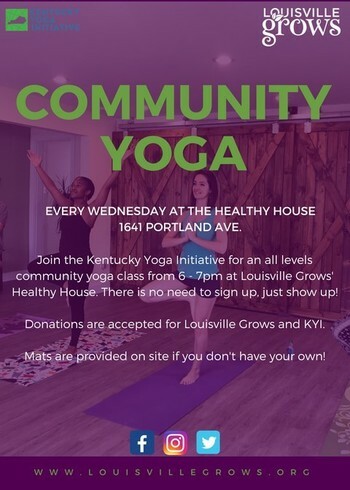 For a full list of community events and details on how to get involved with Lean Into Louisville, visit www.LeanIntoLouisville.org and follow Lean Into Louisville on Facebook, Instagram and Twitter. Life Insurance - State provides $20,000 term. Optional Insurances - Dental, Vision, Accident, Cancer, STD, LTD, etc. The Slow Food Bluegrass School Garden Grant supports a school garden project based in Louisville with $5,000 distributed over the course of three years: $2,500 in year one, $1,500 in year two, and $1,000 in year three. To be eligible for a Slow Food Bluegrass Garden Grant, applicants must be a (a) 501(c)(3) nonprofit organization or (b) nonprofit (public or private) K-12 school, developing a student garden project focused on connecting and engaging children with fresh fruits and vegetables. Priority is given to both limited-resource communities and to projects clearly demonstrating strong buy-in from stakeholders. Please email your application to info@slowfoodbluegrass.org; applications are due by March 10th. For more information please visit http://www.slowfoodbluegrass.org/schoolgardens/. 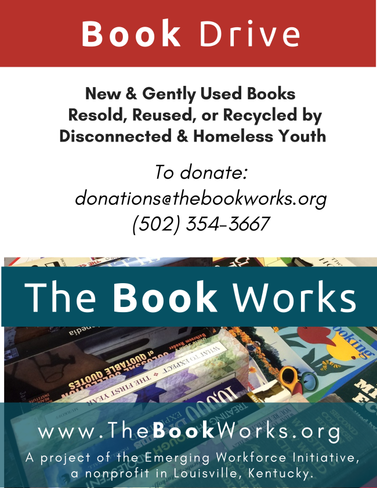 Louisville Metro Government (LMG) is now accepting applications from local non-profits for programs or activities funded by the following U.S. Department of Housing and Urban Development (HUD) grants for LMG fiscal year 2020 (July 1, 2019 – June 30, 2020). These grants are administered locally by Louisville Metro Office of Resilience and Community Services (RCS). Grant activities are guided by a five-year Consolidated Plan as well as an annual Action Plan, both available online. The LIHEAP Crisis Component began January 7. Residents wishing to apply must make an appointment in advance utilizing the automated appointment system. The toll free service will opened up January 2 and will be available twenty four hours a day, seven days a week. 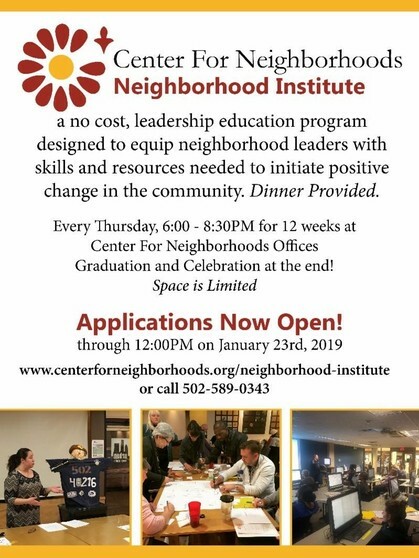 Applicants must be Jefferson County residents with a household income at or below 130 percent of the federal poverty guidelines (e.g. for a household of four, the gross monthly income cannot exceed $2,720). Read more details here. Those temporary, illegal signs in the right of way? Recycle them. Such signs create visual clutter and often become litter to the detriment of our roadways, sewers and environment. If you walk by these signs or live somewhere where these signs are posted and may be removed safely, help clean up our community by taking them down and throwing them away. Or better yet, consider recycling the signs - search for "recycled yard sign projects" online for ideas. The Center for Neighborhoods' NeighborMap is now available online! This new, layered map comes loaded with data on neighborhood resources, grocery access, flood-plain locations, tree cover and more. 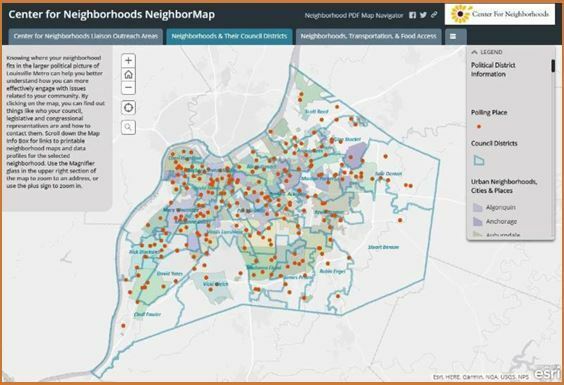 NeighborMap can help individuals and community organizations visualize and understand the assets available in their neighborhoods, and identify improvements they would like to see. Students from UofL's Kent School of Social Work contributed to the project by gathering data in urban neighborhoods, and will continue the partnership with CFN to help develop strong neighborhoods. NeighborMap was created in part with funding from Louisville Metro Government. 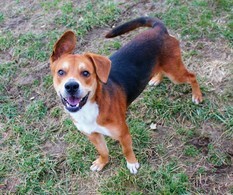 Brewster is a friendly, one-year-old Beagle mix in need of a forever home. This happy, handsome boy already knows a few commands. Additional training should be easy because he’s smart and treat-motivated! Brewster is also playful, likes toys and enjoys a game of tug. Brewster’s adoption fee is waived, thanks to the Pay It Forward Program. He weighs approximately 40 pounds and is already neutered, microchipped and up-to-date on vaccinations. 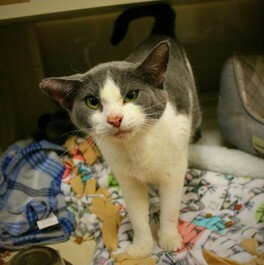 To meet or adopt Brewster, visit Animal House Adoption Center, 3516 Newburg Road, Tuesday through Sunday from noon to 6 p.m. For more info about Brewster, email animalservicesadoption@louisvilleky.gov or call 502-473-PETS. The Kentucky Center Artsreach in collaboration with The Office of Mayor Greg Fischer and River City Drum Corps presents Keepers of the Dream: A Community Arts Celebration of Dr. King’s Vision. Hosted by Tytianna Wells, the celebration will feature 140+ performers and presentation of The Mayor’s Freedom Award and ArtsReach Living the Vision Awards. 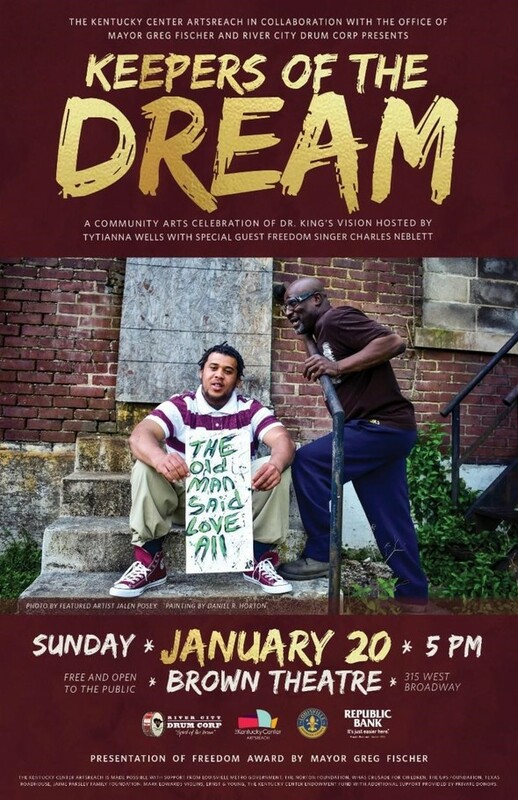 Keepers of the Dream will be Sunday, January 20, at 5 p.m. at the Brown Theatre, 315 W. Broadway, and is free and open to the public. No tickets are required, and the event is appropriate for all ages. For more information on this inspirational, thought-provoking, and empowering annual event, click here. "Where do we go from here: Community or Chaos?" St. William Church, 1226 W. Oak Street, 3 p.m.
A group of individuals and organizations from both sides of the 9th Street divide will be exploring the history of environmental justice in Louisville. Join this group of concerned citizens at St. William Church (1226 W. Oak Street) to learn what we can do to help neighborhoods being affected by poor environmental quality as we transition toward a 'just' sustainability for all. Hosted by Kentucky Interfaith Power and Light. MLK events at the University of Louisville: Click here. 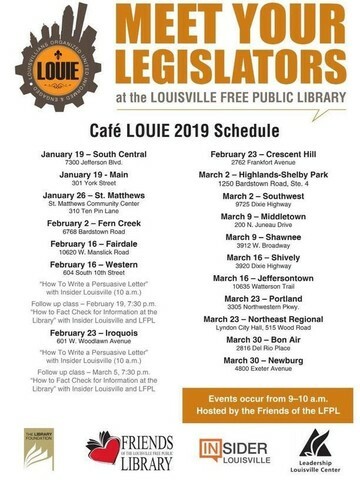 The Louisville Grows Film Series is designed to promote discussions and mindfulness towards healthy living, healthy eating, environmental education and social justice. From utilizing fallen trees to exploring ecosystems to discovering the relationship between the food you eat and diseases, these films promise to inform and entertain. The films will be shown every second Thursday of the month from January through August. 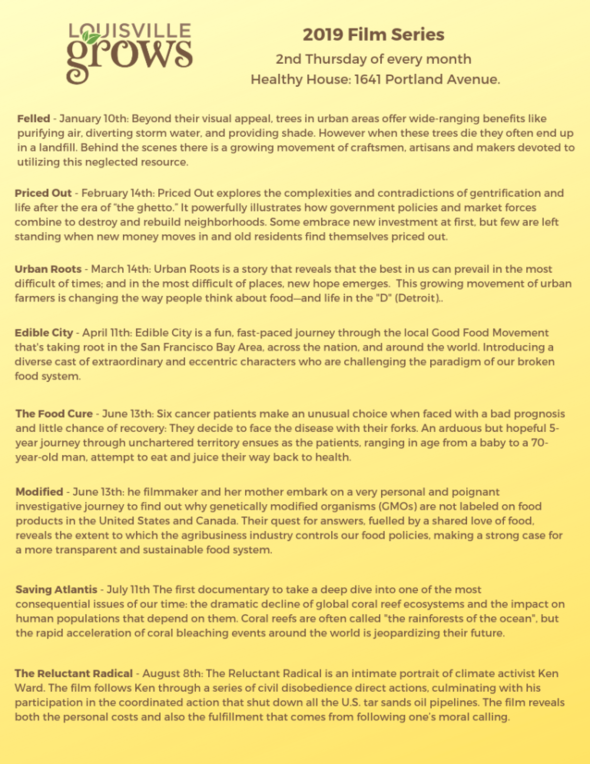 Check out the Louisville Grows’ website and Facebook page for more information on the film featured each month. 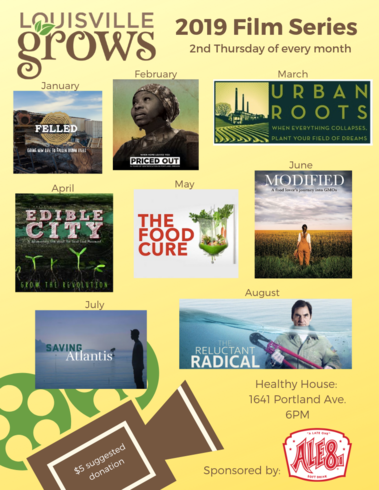 The Film Series will be at Healthy House, 1641 Portland Avenue. Doors open at 5:30, film starts at 6 p.m., with a panel discussion to follow. Admission is a $5 suggested donation. Children's programs include WAGS at the Lbrary, where kids may read aloud to a certified therapy or comfort dog, or Sensory Friendly Storytime, for families with children ages 3 and up with autism spectrum disorders or other sensory integration issues. Programs for adults include Fiction Book Club, Nonfiction Book Club, Adult Coloring as Art, and more. Preschool Storytime Wednesdays, 10:15 a.m.
Baby Storytime Thursdays, 10:15 a.m.
Toddler Storytime Thursdays, 11:15 a.m.
Who says homeschoolers don’t socialize? Not us. Homeschool teens and tweens will meet at the Highlands-Shelby Park Library Teen Outpost for games, activities, or just hanging out. Non-homeschooled teens are also welcome to join in the fun, every Thursday 3 to 5 p.m., for ages 12 to 17. For details visit www.lfpl.org/events. 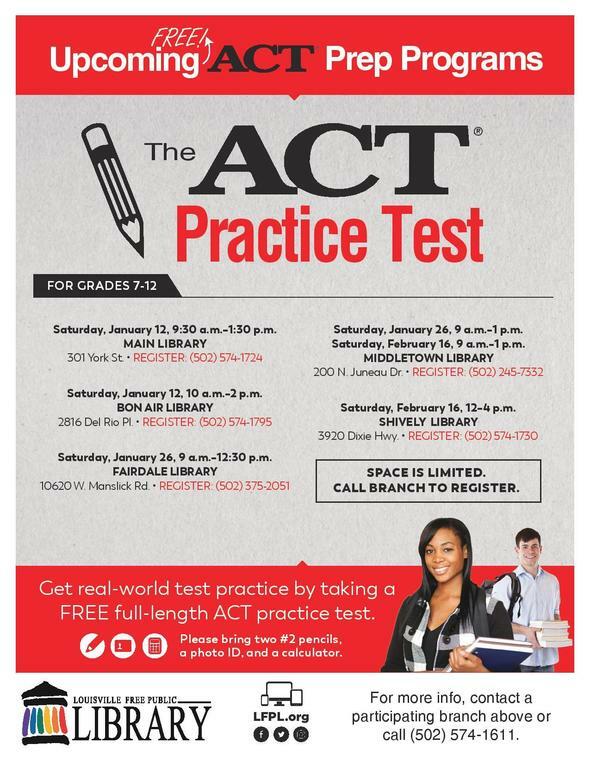 To sign up, call 574-1672. The Library – at the crossroads of knowledge and know-how. Visit www.LFPL.org to learn more. An ABC ad ran in the Courier-Journal on December 31 for a Quota Retail Liquor Drink, NQ4 Retail Malt Beverage Drink, Supplemental Bar, Sunday Drink, and 4 a.m. Hours License(s) for The 21st Amendment, LLC, DBA/ The 21st Amendment Tavern, 1481 S. Shelby Street. Any person, association, corporation, or body politic may protest the granting of the license(s) by writing the Department of Alcoholic Beverage Control, 1003 Twilight Trail, Frankfort, KY, 40601-8400, within 30 days of the date of the legal publication. The property is listed or potentially eligible for listing in The National Register of Historic Places. 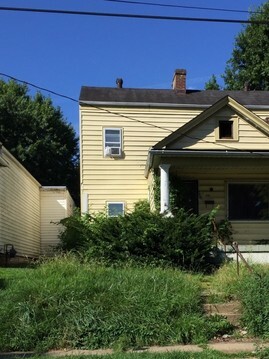 The requested demolition permit may be issued on or after January 20, provided that the application meets the development or deed restriction requirements of the Louisville Metro Code of Ordinances (150.110). For additional information regarding this application visit the website: https://louisvilleky.gov/government/construction-review or contact Mike Beard, Plan Review Supervisor at 574-3321 or Cynthia Johnson Elmore, Metro Historic Preservation Officer at 574-2868. A neighborhood meeting will be held at 1125 Fischer Avenue on Monday, January 21 at 6:30 p.m. The case number is 18CUP1176, seeking a conditional use permit for short term rental in a nonprimary residence in the R5 zoning district. The meeting gives the owners/applicants a chance to provide information and for neighbors to ask questions. The public hearing at the Planning Commission regarding 2200-2300 Hikes Lane, originally scheduled for January 10, has been continued to the January 24 Planning Commission meeting. The Planning Commission meets in the Old Jail Building, 514 W. Liberty Street, beginning at 1 p.m., and will continue until the commission has heard all cases. The case: 17ZONE1068, for 2200-2300 Hikes Lane, a change in zoning from C1 to C2, Commercial with detailed district development plan for a proposed auto repair shop with 10 bays and an auto sales lot on .9493 acres. A neighborhood meeting will be held January 24 regarding a proposed change in zoning from R-6 multi family to C-2 commercial on .086 acres for proposed barber/café/tavern space for 1008 East Oak Street. The case number is 18ZONE1083. Neighbors will have the opportunity to review the proposed plan and discuss the proposal with the owners and their representatives. The meeting will be at 6:30 p.m. at Sanctuary Church, 930 Mary Street. A neighborhood meeting will be held February 6 regarding a proposed conditional use permit to allow a non-primary residence short term rental in the R5 zoning district for 4162 Roosevelt Avenue. The case number is 18CUP1185. The meeting gives the owners/applicants a chance to provide information and for neighbors to ask questions. The meeting will be held at Hometown Pizza, 4041 Preston Highway, at 6 p.m. 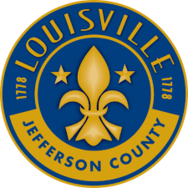 Note: to sign up for notifications about Louisville Metro Planning and Zoning Cases in District 10 or any area, click here. You'll choose email or text, fill in your email address or phone number, create a password, then you may choose from the list of email/text notifications available. 17ZONE1062 for 4804 E. Indian Trail, to rezone 7.9 acres of property an R-5, single family subdivision and a prayer hall. (This property is in District 2, but across the street from District 10). Case manager is Joel Dock. 18ZONE1007 for 1127 Goss Avenue, change in zoning request from R-5 to R-6 on 0.2096 acres. Case manager is Laura Mattingly. 18ZONE1016 for 4141 Bardstown Road, a change of zoning request from R-4 to C-2 on 0.2 acres for a 5400 sf commercial building with a parking lot. Case manager is Laura Mattingly. 18ZONE1017 for 1137 Mulberry Street, a change in zoning from R5 to CN for a proposed 3,170 sq ft 3 story mixed use building on .11030 acres. 18ZONE1034 for 4310 Bishop Lane. The applicant seeks to rezone from OR3 and C1 to C2 on 1.01 acres for proposed contractors shops. Case manager is Laura Mattingly. 18ZONE1043 for 1037 Ash Street, a change in zoning from R5 to C2 for a proposed restaurant in an existing building on .1190 acres. Case manager is Joel Dock. 18MINORPLAT1037 for Thomas Carwash Buechel, 4139 Bardstown Road, case manager Chastity White. A minor subdivision plat to shift the building limit line on 0.66 acres in the C-2 zoning district. 18MINORPLAT1040 for 4103 Lee Avenue, case manager Chastity White. A minor subdivision plat to create 2 lots from 3 and shift property lines on .37 acres in the R5 zoning district. 18MINORPLAT1074 for 4600 Jennings Lane. The applicant seeks to create two tracts from 1 on 0.105 acres in the M-3 zoning district. 18MINORPLAT1171 for 4023 Bardstown Road, a Minor Subdivision Plat to create two tracts from one lot on two acres in the C-2 and M-1 zoning districts. 18DEVPLAN1138 for Speedway, 4239 Poplar Level Road, a Category 2B Plan for construction of a 4600 sf commercial building and 4700 sf canopy on 1.22 acres in the C1 zoning district. Waivers for interior landscape requirement, to reduce the Landscape Buffer Area and to omit the window and façade requirements. Variances for encroachment into front setback and sign to exceed the permitted height and area. 18CUP1025 for 1527 Lincoln Avenue, case manager Dante St. Germain. A conditional use permit for a non-primary residence short term rental in the R-5 zoning district. 18CUP1123 for 844 Melford Avenue, case manager Christopher French. A conditional use permit for a non primary residence short term rental on 0.129 acres in the R5 zoning district. 18CUP1130 for 3762 Illinois Avenue, case manager is Steve Hendrix. A Conditional Use Permit for a Short Term Rental of a non-primary residence in the R-5 zoning district. 18CUP1177, for 1004 Mayer Avenue, a Conditional Use Permit application for short term rental in a nonprimary residence on .08 acres in the R5 zoning district. 18CUP1198, 1137 Mulberry Street, a conditional use permit for short term rental of a non primary residence on .11 acres in the R5 zoning district. 18CUP1201, 1509 Texas Avenue, a conditional use permit for short term rental of a non primary residence on .12 acres in the R5 zoning district. 18CUP1202, 1535 Texas Avenue, a conditional use permit for short term rental of a non primary residence on .08 acres in the R5 zoning district. 18CUP1203, 1530 Texas Avenue, a conditional use permit for short term rental of a non primary residence on .05 acres in the R5 zoning district. 18CUP1207, 1240 Boyle Street, a conditional use permit for a non-primary residence short term rental on 0.0496 acres in the R-6 zoning district. 18CUP1210, 1033 E. Burnett Avenue, a conditional use permit for a non-primary residence short term rental on 0.1095 acres in R5 zoning district. 18CUP1211, 1019 Lydia Street, a conditional use permit for a non-primary residence short term rental on 0.0984 acres in R5 zoning district. 19CUP1002, 1914 Decatur Drive, a conditional use permit for a non-primary residence short term rental on 0.23820 acres in the R5 zoning district. To learn more about Planning and Design Services, click here. If you're renovating or remodeling, have a plan for disposing of the resulting debris. Construction and demolition debris in Louisville garbage and junk pickup collection is prohibited by ordinance. Collection crews have recently been reminded to enforce the ordinance consistently. Options for disposal of construction and demolition debris include taking it to the Waste Reduction Center on Meriwether Avenue. Fees are variable depending on volume. More information and a fee schedule are available here. Or consider hiring a hauling company or rent a dumpster. The new RecycleCoach app features notifications about garbage, recycling, bulk waste, and yard waste collection services. RecycleCoach will help Solid Waste Management Services communicate better by sending special messages such as bulk waste rule reminders or suspension of services for yard waste, etc. The app also has a “what goes where” feature to allow a person to input a certain item to get information on disposal or recycling. Download from the App Store or Google Play. 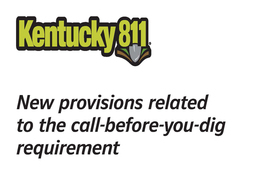 Kentucky Public Service Commission (PSC) will investigate and impose fines on anyone who comes into contact with an underground natural gas line while digging without having contacted 811 to have the lines located before digging. Contact 811 (call 8-1-1 or submit an online locate request at 811.com) before you dig and make sure that anyone doing excavation on your behalf contacts 811 two working days before they start. For more information, please visit lge-ku.com/safety/digging. Some offices and VA hospitals offer a "Health Promotion Disease Prevention Program" that includes treatment methods including acupuncture, tai chi, and meditation instead of opioids, and they work with the Veterans Crisis Line (1-800-273-8255, Press 1) to provide support and treatment for PTSD and depression, the leading cause of suicide for veterans. 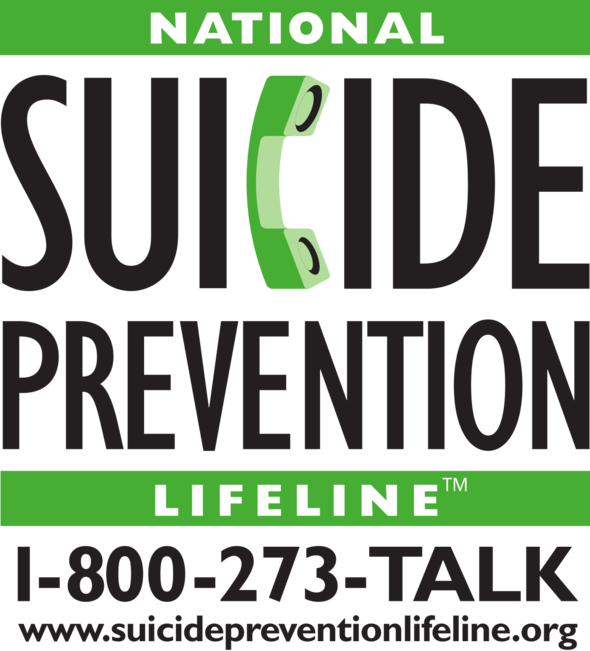 We can all help prevent suicide. 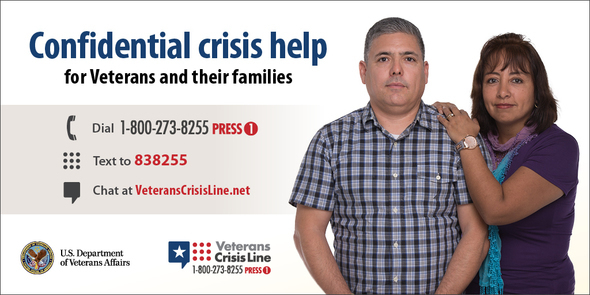 The Lifeline provides 24/7, free and confidential support for people in distress, prevention and crisis resources for you or your loved ones, and best practices for professionals. Call 1-800-273-TALK or go to https://suicidepreventionlifeline.org/ to live chat. 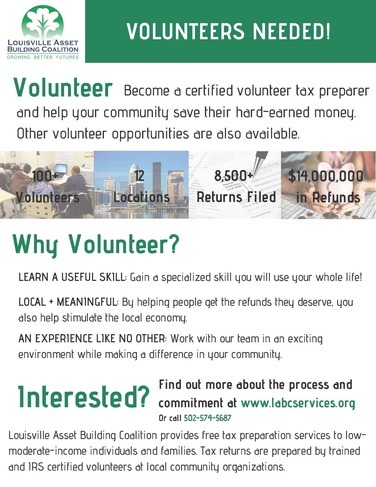 Volunteers of America offers many opportunities to make a difference in the lives of the individuals VOA serves. Choose an individual or group volunteer opportunity or suggest your own project. 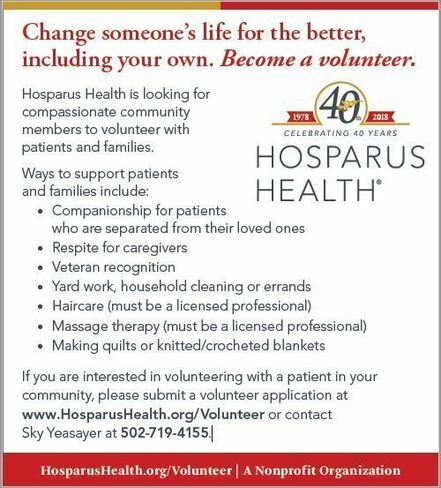 For more information, please visit https://www.voamid.org/volunteer or contact Gema Moreno at GemaM@voamid.org or 636-4664. TreesLouisville is offering a tree rebate. Those who purchase a shade tree can receive up to 40 percent off the purchase price. This is an initiative between TreesLouisville and Louisville Metro Division of Community Forestry to grow our tree canopy. Trees are beneficial: a yard tree can boost property value up to $10,000, and trees can help lower heating & cooling bills. Louisville is the fastest warming urban heat island in the country; trees and shade help keep our city cool, improve air quality, and make for beautiful, safer neighborhoods. 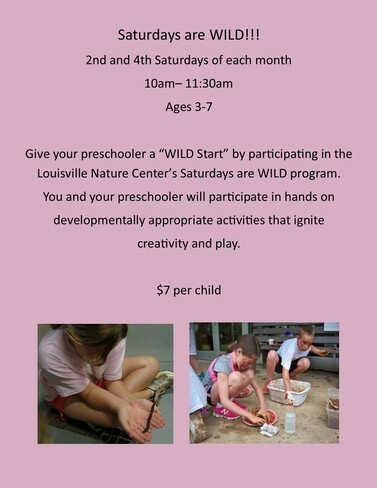 For further information contact Jackie Wilson-Rudy at 574-5850 or Jacqueline.Wilson-rudy@louisvilleky.gov. Don't get caught by surprise and ticketed or towed when the sweepers come to your street. Sign up to get text or email alerts when the sweepers are coming. 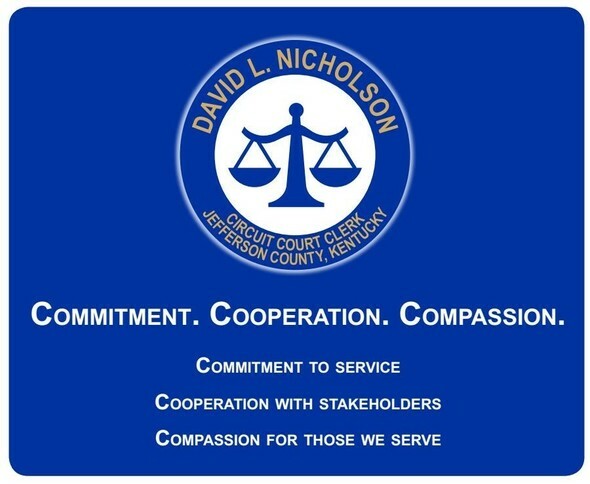 Just click on the Services Near Me icon seen above on the Louisvilleky.gov webpage, type in your address, and you're on your way. While you're there you can also find the date of your next junk collection and sign up to be reminded. More about street sweeping. If you wish to make a MetroCall 311 request, please use the following contacts. You'll receive a service request number that will help the District 10 office assist you. Louisville non-profits have launched a new website to help connect people in need of food, shelter and more. Metro United Way and the Family Scholar House partnered to create LouieConnect, modeling it on a similar site created in Pittsburgh, Pennsylvania. When someone uses LouieConnect, the web-based app asks for basic information and then lists applicable resources nearby — from food pantries to shelters to career centers to financial literacy programs. Kentucky's Republican-dominated legislature voted to impose sales taxes on services on April 2. Now, services such as landscaping, janitorial services, grooming for small pets, fitness centers, car repair and items sold by governments are subject to a six percent tax. This affects our discounted recycle cart program. The normal purchase price for the carts is $50, plus six percent sales tax, for a total cost of $53. Metro Council District 10 will continue to provide $25 towards the purchase of this cart. Constituents will be asked to pay the difference of $28 going forward. The discounted recycle cart program has been re-instituted by Councilman Mulvihill and now offers two sizes: the 95-gallon carts and smaller 64 gallon carts. The photos at left show the sizes (64 gallon on the left). The carts normally cost $50, but Councilman Mulvihill has made them available for residents of District 10 for a reduced cost of $28. 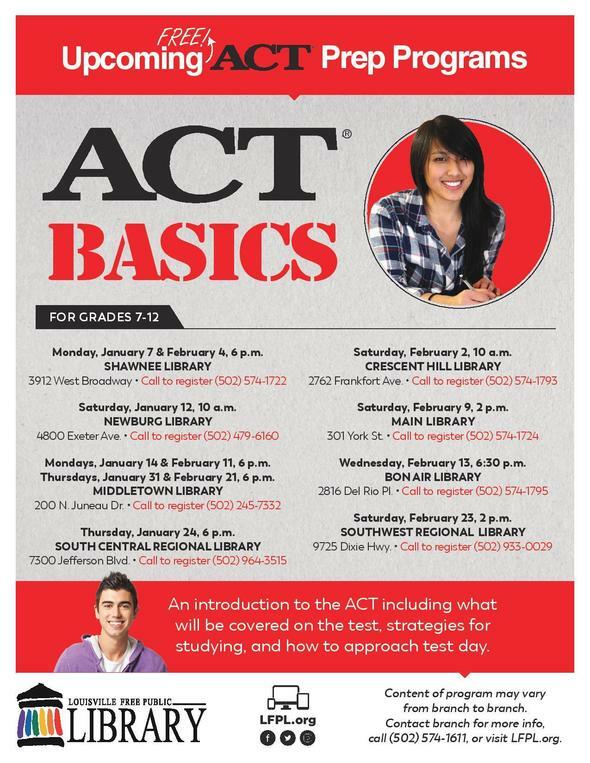 Please call 574-1110 or email us for the form. The reduced cost recycle carts will be available on a first come first served basis until the funds are depleted. 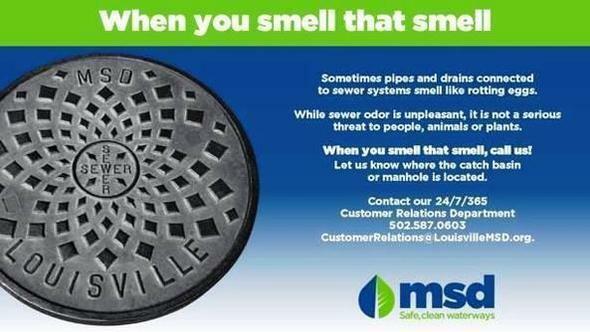 This offer is available to urban service district residents. 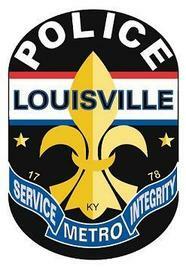 Click here to sign up for the LENSAlert (Louisville Emergency Notification System). In addition to receiving notifications, individuals can create a Safety Profile for themselves and their household that can include any information they want 9-1-1 and first responders to have in the event of an emergency. When individuals make an emergency call, their Safety Profile is automatically displayed to the 9-1-1 call taker, allowing them to send the right responders to the right location with the right information. Information about medical history, allergies to medication, number of residents in a home and even a picture of the family dog can all be added to a Safety Profile. If you know of a community event you'd like to be considered for inclusion on the District 10 E-News, let us know. Click here to email our office. You are receiving this email because you have signed up for the E-News or have contacted my office for assistance. If you would like to be removed from this communication please email Sara Feltner with "REMOVE" in the subject line. The neighborhoods of Audubon Ridge, Bashford Manor, Belmar, Breckinridge Orchard, Buechel, Buechel Terrace, Camp Zachary Taylor, Chevy Chase, Fincastle, George Rogers Clark Park, Germantown-Paristown, Kensington, Oak Hill, Petersburg Estates and Schnitzelburg along with the suburban cities of Audubon Park, Parkway Village, Watterson Park and West Buechel make up the district which is also the home of the Louisville Zoo, Joe Creason Park, the Louisville Tennis Center, the Louisville Nature Center, George Rogers Clark Park, Buechel Park, Emerson Park and the Cyril Allgeier Community Center.